Placing of dental implants has become a common surgical procedure.in my practice . I have been placing implants for over 25 years. techniques. 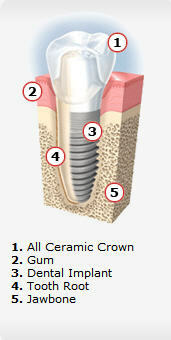 Implants are typically placed by qualified implant surgeons and restored by qualified restorative dentists. There is a need. Over 50% of the adult population is missing one or more teeth that needs replacement. 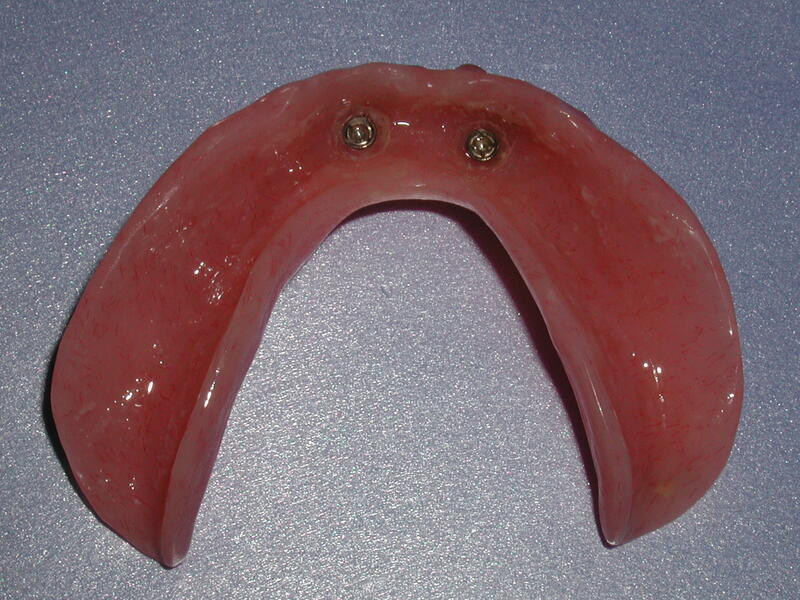 Placing implants prevents shifting of adjacent teeth and prevents futureLoss of teeth and bone structure. Current modern implants may last for more than 30 years, when placed in good bone In many cases longer then fixed bridges. 2. a temporary or final abutment which is secured to the top of the implant .This final abutnent may be placed at the same time as the implant placement or by your dentist at a later date. Typically, I will have patients schedule for two or more consultations to ensure that all necessary information is available before the dental implant is placed. This is a short appointment to exam the patient and give a general opinion of how many implants are needed. In addition, the determination of what additional planning information is needed. For example, it may be necessary to obtain additional panoramic x- rays, detailed I - CAT scans, study models, surgical guides etc. Also, consultation with the restorative dentist may be necessary. Review of the additional information that may have been ordered for individual patient treatment plans. This may have included, in select cases, I-Cat CT detailed cone beam x-ray scans .These scans digitally interface with computerized implant planning software and may be analyzed on the computer. Review of panoramic and/or complex motion tomogram x-rays. Review of itemized costs. This is given to all patients in writing. This usually performed in less than one hour. I usually perform The procedure with a newer flapless technique so there is little swelling or discomfort. There are no incisions or stitches needed. 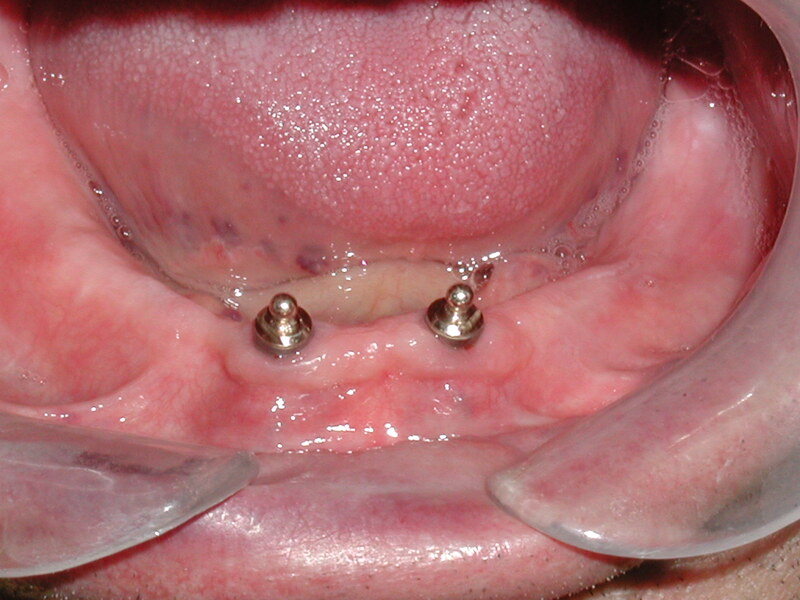 In select cases , the implant can be placed at the same time as the extraction. this techniques preserves the existing bone and soft tissue for the best esthetic results. This technique also allows the final restoration to be made sooner. Case #4 50 y/o male with complaint of ill fitting lower denture.